I can't even remember the last time I wore a necklace or changed my earrings, I wear my charm bracelet every now and gain, but I'm just not the biggest jewellery fan at all really. Probably due to laziness more than anything! But the exception to this is rings. 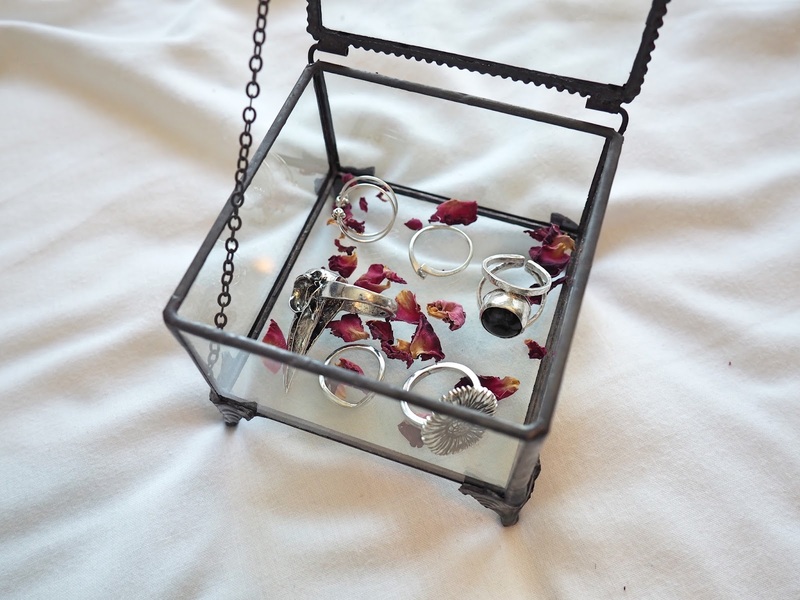 I'm always buying new rings, whether they're chunky statement ones, more delicate pieces or midi rings, I have quite the large collection. 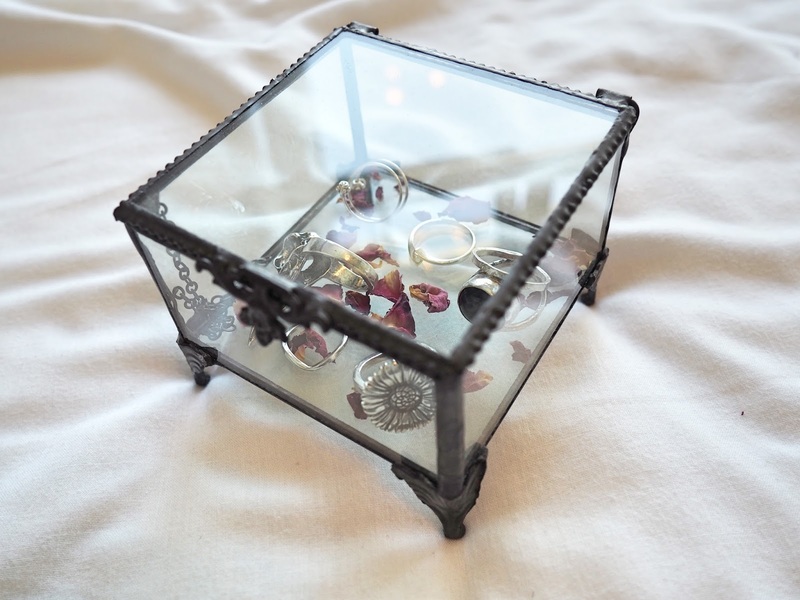 But lately I've been wanting to make a bit more of an investment in my rings. I don't mean getting extravagant and spending stupid amounts of money, but just a bit more than buying a 12 pack from Toyshop, y'know? 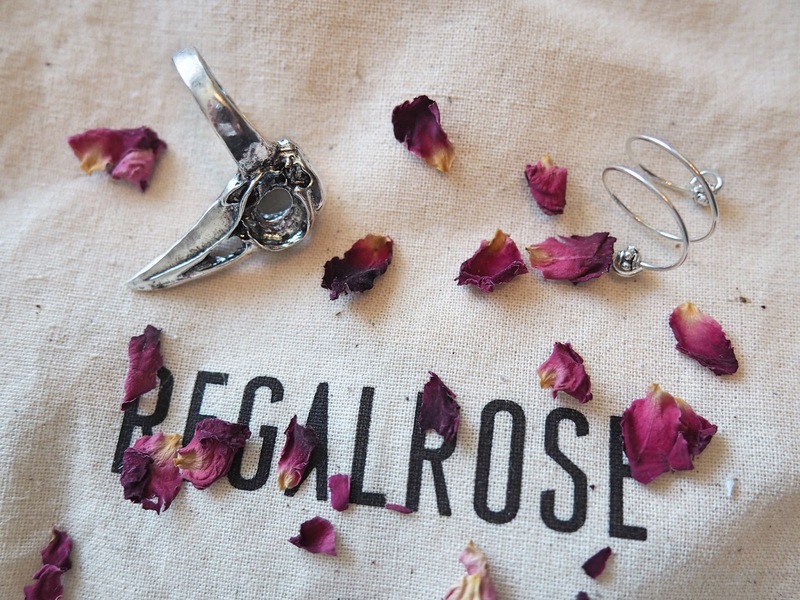 There are so many unique stores out there that do such gorgeous jewellery pieces but two which I'm a massive fan of are Bloody Mary Metal and Regal Rose. 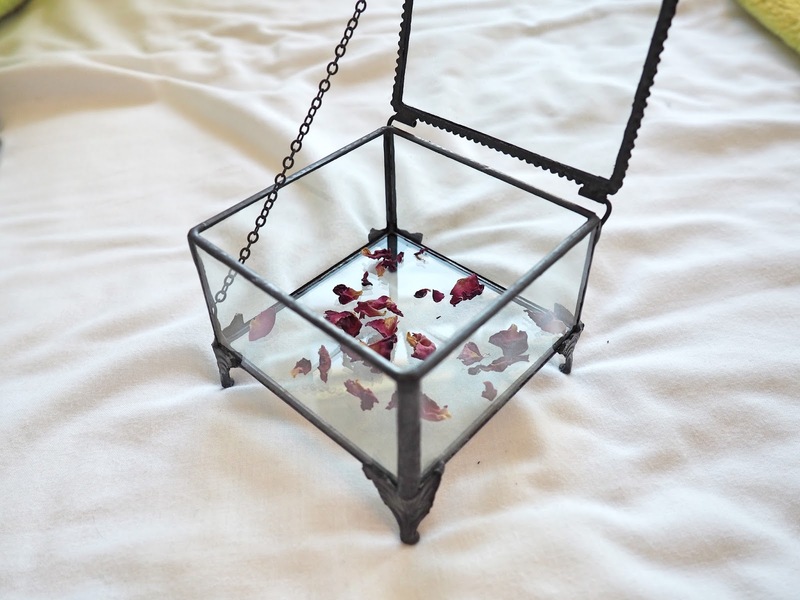 I've lusted over many a pieces on the BMM site for well over a year now and when they launched the #SunflowersforJacqueline line with Leanne Lim-Walker it seemed like the perfect time for me to finally make a purchase. I couldn't just buy one ring though because that would be silly, but I did manage to stop myself at two which I am quite proud of. 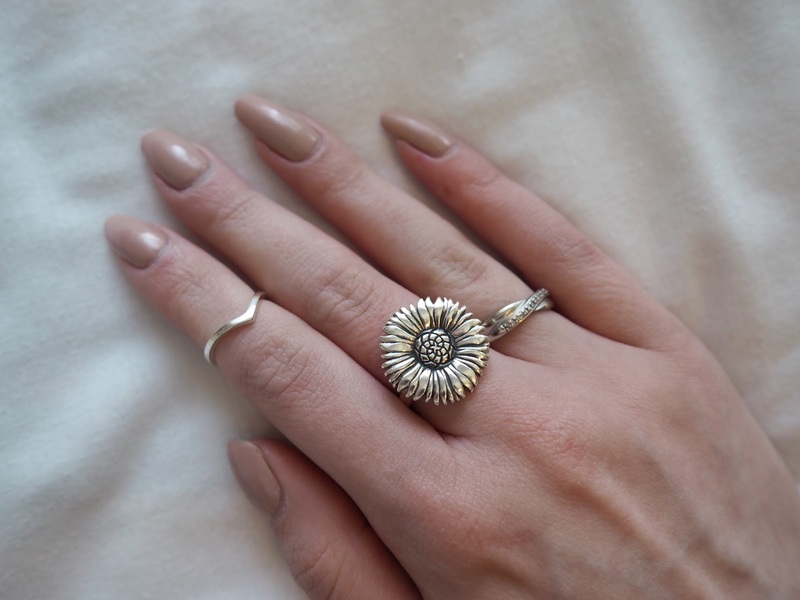 This sunflower ring is quite a statement ring which has caught many peoples eye and I think that's exactly what it needs to be when it's for such a good cause. If you didn't know, £15 of the proceeds from everything in the #SunflowersforJacqueline range goes to Rethink mental health charity which is a cause I'm very passionate about personally! It's such a nice size and the detailing is so beautiful, I never want to take this off. To go with this I also purchased the wishbone midi ring which is such a nice, delicate ring perfect for adding a little something to a simple look. 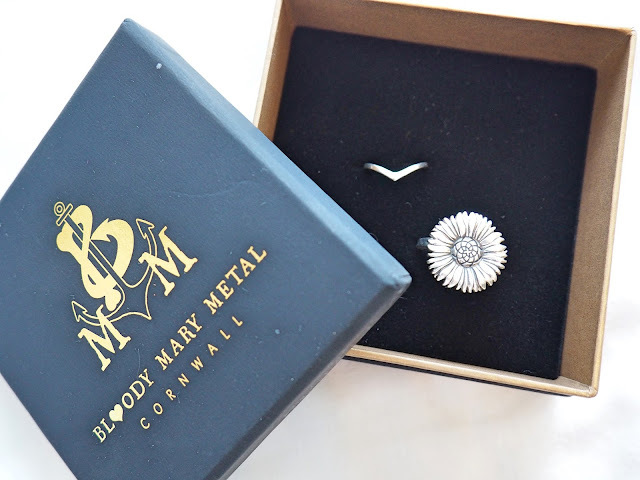 The great thing about BMM is that you can buy a ring sizer guide (it's only £3!) and then measure each finger, full size and midi, so you know for future reference what to get. This is what I did and now I have a list of sizes ready to drop hints for gifts! 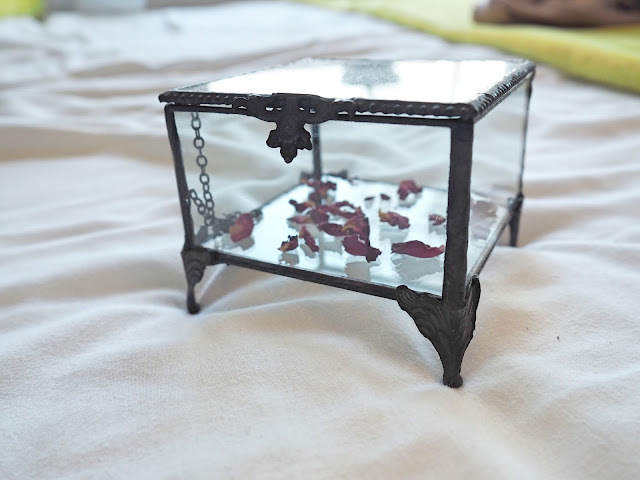 I initially only went on the Regal Rose site to look at the 'Jewellery Casket' which I'll talk about in a minute, but it would've been far too sensible of me to only get the thing I was looking at, especially when they had a sale on too! 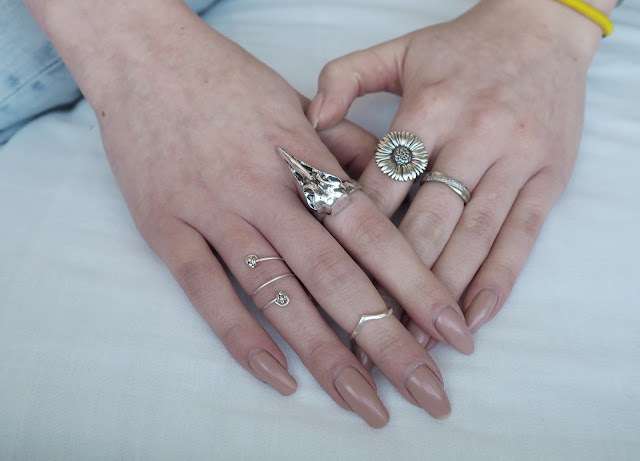 I first picked up the wrap knuckle ring which is super delicate but a statement piece all the same. I've only ever sad small midi rings before, like the BMM one, so a larger one with a bit more character seemed ideal to try! The knots on the ends of this can dig into your knuckles a little, but it's nothing painful really. 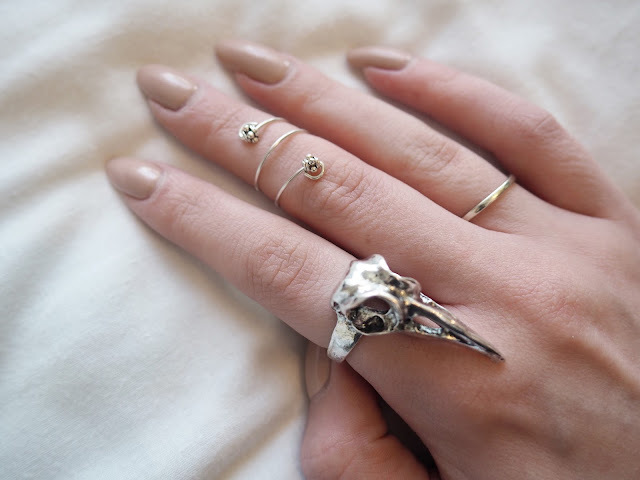 The raven skull ring can be described as nothing other than a statement ring really can it? It's definitely one of the larger rings that I own but I love the shape of it, how it can either curve down over you knuckle or up the length of your finger, and it's super comfy either way! The shading and tarnished finish of it are just stunning. So, that jewellery casket I mentioned from Regal Rose. Isn't it amazing? 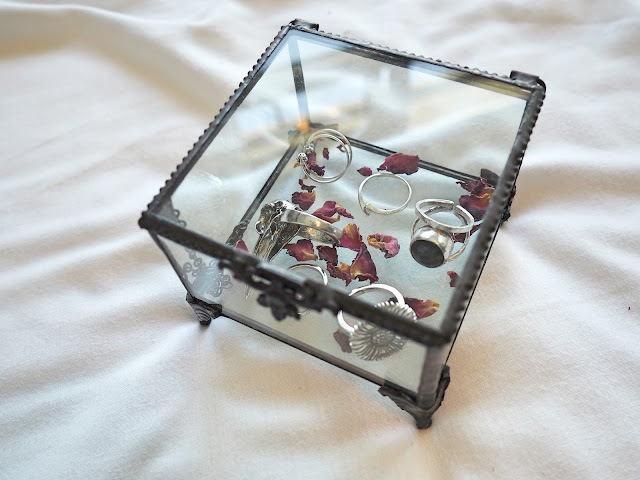 It's so pretty and it's just the perfect place for me to store my favourite rings. It's a really deep, almost black, bronze shade and the claw feet, the clasp detailing on the lid, the chain, it's just all so good. I've needed somewhere to store my rings easy enough to reach for on a daily basis and this is more than ideal. Where's your favourite places to get jewellery?